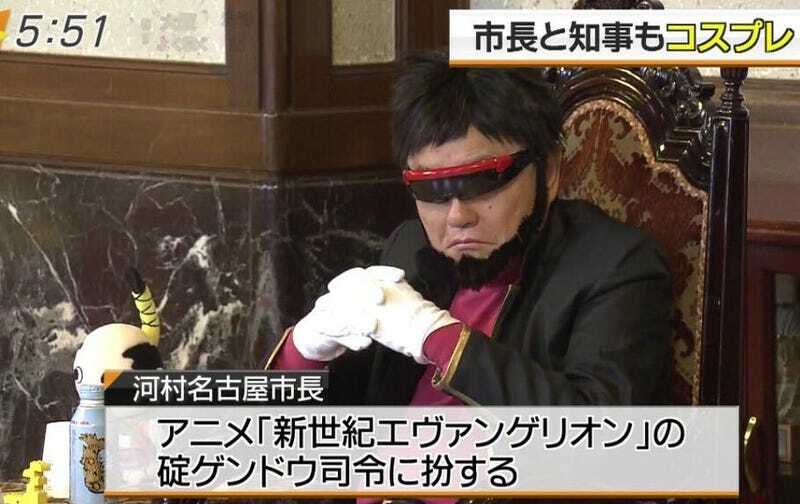 The mayor of Nagoya and the governor of Aichi Prefecture both recently suited up as famous anime characters. This was not a first. Mayor Takashi Kawamura and Governor Hideaki Omura cosplay at least once a year for the World Cosplay Summit, a major cosplaying event held in Nagoya, Aichi Prefecture. Both have a good cosplay game.